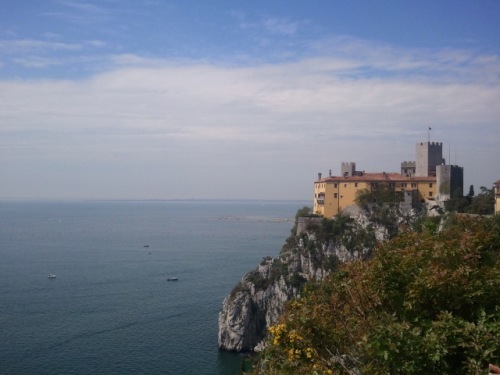 In January 1912 the poet Rainer Maria Rilke was staying with the Princess Marie von Thurn und Taxis-Hohenlohe at the castle in the small village of Duino, just up the coast from Trieste. 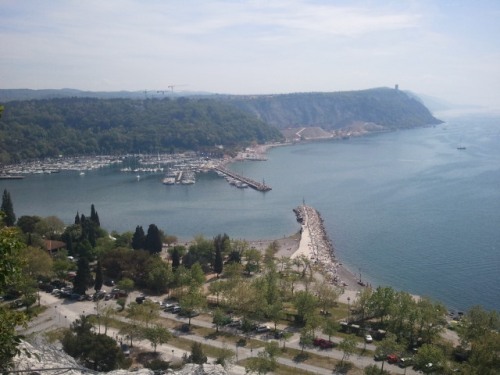 It was whilst staying there and walking along the clifftops, that the first line of what would become the Duino Elegies – one of his most celebrated works – came to him. It is possible to follow in the poet’s footsteps – and who knows, perhaps be inspired to great works – by taking the footpath that bears his name. 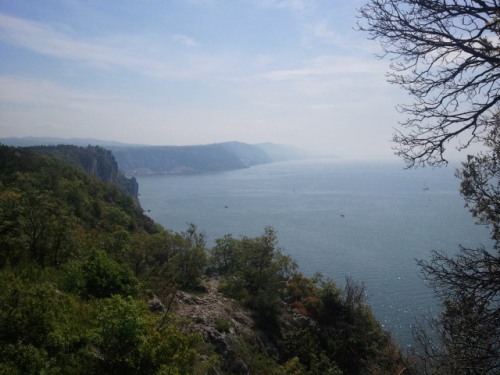 The Rilke Trail runs from just behind the Duino castle, where Rilke was staying back in 1912, along those clifftops to the next village along the coast. 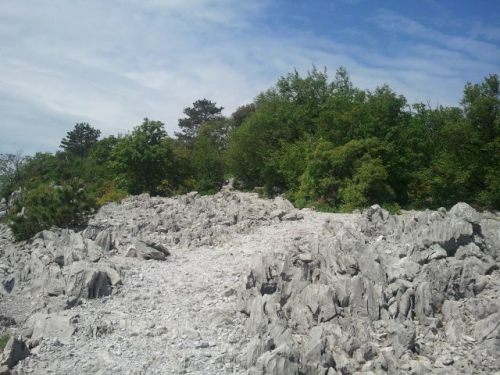 At 7.30 in the morning you can walk the couple of kilometres with the path pretty much to yourself, perhaps pausing for photographs as the sun rises above the Karst. Or you can take the steps down into the Second World War observation points that were dug out of the rock. Try walking the path on May Day, as Italy closes down for a public holiday, and you can’t imagine Rilke having peace enough to compose elegies in his head. 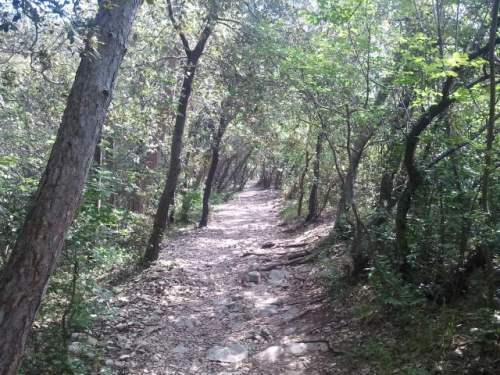 Perhaps because it is a short walk, and well-maintained, the Rilke Trail appears to be extremely popular, much to the frustration of a couple of joggers for who this is obviously home territory and a place that they are used to having more to themselves. This entry was posted in Places, Poetry, Walks on May 7, 2012 by Paul Scraton. It looks beautiful. The Duino Elegies are truly magical. It must be trying to enjoy the place with tourists around. Thanks for the comment. Yes it was beautiful, but I cannot really complain about the tourists as I was one myself! Just a reminder not to take the most popular paths on a bank holiday! I did not realize that Duino was near Trieste – I stayed in Trieste on my way to Ljubljana some years ago and would have loved to fit it in. It looks beautiful (you manged to avoid the people in your photographs!) and I do like literary pilgrimages. 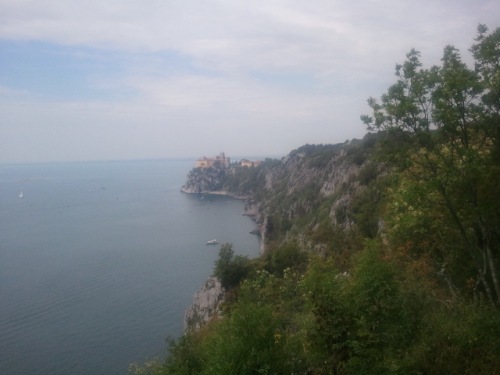 That whole coastline is quite stunning – we also stayed in Piran on the south of the same bay.